My lucky cousin got to spend a couple weeks in Mexico, a well deserved break from his owner/operated shop in Edison, WA, Slough Food. 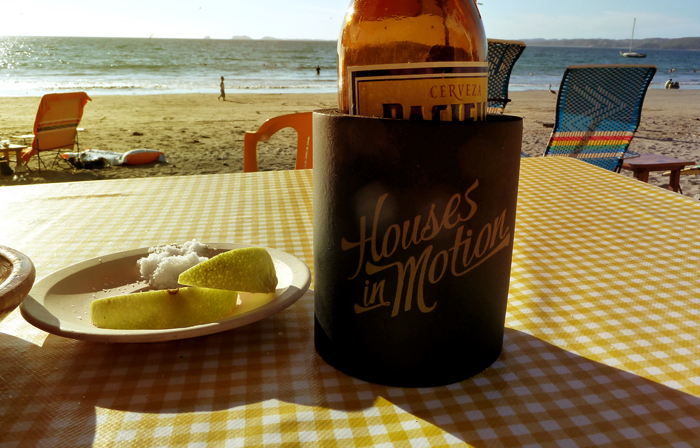 Before leaving for Mexico he managed to pack the Houses koozie, and clearly, was able to put it to good use! Nice work cousin. Send us your pics with Houses koozies!